What are the risks of social networking? How much information is too much information? 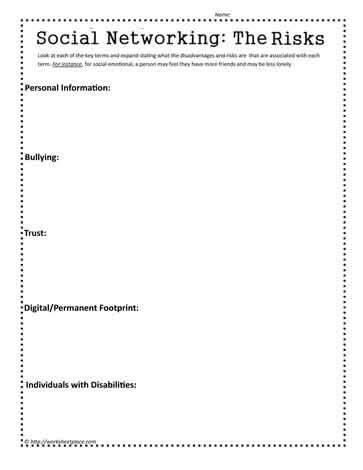 Use these social media printables and worksheets with students in grades 5 to 8. Social media lessons need to include the risks involved in using social media to help students be safe online.